transferring the developers’ only assets (the real property) to the newly created, developer controlled entity. This had the effect of extinguishing CDC’s construction liens and rendering the developer entities judgment-proof, leaving CDC with no ability to get paid for work performed, while allowing the original developer to obtain ownership of the real property (through the newly created, developer controlled entity) with the benefits of CDC’s unpaid hard work. The trial court found that the developers’ brazen maneuver was legal and allowed for the foreclosure to proceed. 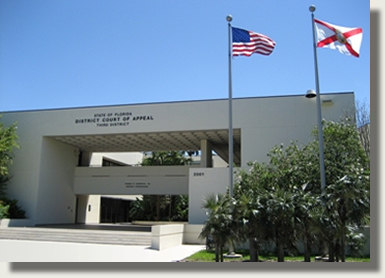 Fortunately for CDC as well as other members of Florida’s construction industry, the Third District Court of Appeal reversed the lower court’s decision and, in so doing, prevented the creation of a new formula for unscrupulous Florida developers to cheat their contractors, subcontractors or material suppliers out of payment for work performed or materials provided. In this case, Riviera Biltmore, Riviera Sevilla and Riviera Almeria (all mostly owned and controlled by Brian McBride of Riviera Development, www.rivieradevelopment.com) retained CDC to build 25 luxury homes and townhomes on several parcels in the Biltmore Hotel area of Coral Gables. The developers then borrowed $20 million from SunTrust to finance the construction. To initiate the construction loan, SunTrust required that Brian McBride and McBride Family Properties provide personal guarantees. The McBride family (original owners of the NFL’s Cleveland Browns) is a wealthy and successful family with deep roots in Cleveland and Coral Gables. Consistent with the construction loan documents which limited the number of spec homes that could be built at any one time, the developers directed CDC to begin construction on 8 of the 25 homes. When the economy soured, the developers exercised their contractual right to terminate the contracts for convenience but requested that CDC complete the eight homes under construction. CDC continued working and also presented the developers with a claim for lost profit on the 17 homes that were terminated for convenience, per the terms of the written contracts. To hedge their exposure, the developers began withholding payments from CDC for work being performed on the eight homes under construction. The developers asserted improper billings as a basis for withholding payments. Despite reduced payments and eventual non-payment of its monthly draws, CDC completed the eight homes and obtained certificates of occupancy from the City of Coral Gables. CDC recorded claims of lien for the unpaid work performed on the constructed homes, and it filed suit seeking money for the work performed and unpaid, money for the lost profits on the homes not constructed, and foreclosure of its construction liens. The construction liens covered the work performed and unpaid on the homes, but they did not cover the claims for lost profits on work not performed, as those items are non-lienable under Florida law. When the construction loan matured, McBride (as the personal guarantor of the loan) paid curtailment fees from his other companies to SunTrust to extend the loan several times. Then, rather than extending the loan further (which would have had the effect of reducing the loan and increasing equity in the property for the benefit of CDC), the developers took an extremely untoward and questionable next step. McBride created a new LLC owned by other LLCs made up of him and his family members, acquired a new loan from another lender and used the funds to have this new LLC acquire an assignment of the SunTrust construction loan and mortgages for the full amount owed to SunTrust. In internal documents, SunTrust stated that the loan was paid off by the borrower. McBride’s new LLC then held a first priority interest because it had “purchased” the original SunTrust construction loan. McBride’s new LLC then filed a foreclosure action against the developers (McBride’s other developer entities) and CDC in order to eliminate CDC’s liens as subordinate liens, and to transfer the real property (developers’ only assets) to McBride’s new LLC. The trial court found the crafty maneuver to be legal, and thankfully for CDC as well as many other participants in Florida’s construction industry, the appellate court disagreed. Unquestionably, fairness and justice prevailed in this case. Unfortunately, the developers delayed payment to CDC by years and caused CDC to incur significant attorney’s fees and costs, at great sacrifice, to right this wrong. A contrary decision at the appellate level could have proven to be particularly problematic for Florida’s construction industry, as it would have surely led to other developers applying this same scheme in order to terminate construction liens and avoid paying their contractors, subcontractors and material suppliers. Thankfully for CDC as well as for the health of the construction industry in Florida, that will not be the case.